Often product transitions in product companies lead to serious turbulence. In product and innovation driven companies – such as hi-tech electronics and consumer goods, this can become a traumatic experience with big tangible losses in excess & obsolete inventory & near-term lost revenue. The longer term lost market opportunities and customer goodwill can have a corrosive effect on its competitiveness. This need not be the case. This blog provides a case summary derived from a real-life Product transition experience at a dynamic consumer goods company, and what the company learned through a methodical postmortem collaborating with an external partner. Often transitions lead to turbulence which becomes a traumatic experience for all involved. This need not be the case. As a real-life scenario described below reveals, with a concerted effort a consumer goods company was able to figure out the causal factors which impeded the success of a product transition and how they could preempt it in the future. The scenario and the solution approach have broad applicability in the hi-tech electronics and other product innovation-driven hardware industries as well. Transitions are of various types – sometimes these are driven by technology-changes, sometimes due to competitor actions, and on other occasions due to product refreshes which may result in phase-out or reduction in volume of older products. In this note we will cover the transitions that Product enterprises go through when they make major changes to their products or product lines in the context of this case. A large consumer brand faced the deadly effects of a product line transition that went totally off the rails. Upwards of $20MM (USD) in losses (inventory obsolescence and write-downs) were recorded. Management recognized this event, and the fact that this was caused by a single product transition – in other words, a single product event. They wanted to get to the bottom of this fast. 1) Trust factor depletion – there was a major erosion of trust between Sales and Operations (Procurement & Supply Chain Ops) that took place over a period of time in the recent past before the product transition debacle. At that time, Product demand was perking up and was being diligently reported by Regional Sales teams, yet Operations apparently got cold feet when responding to the demand – not fully ‘comfortable’ with the ‘optimistic’ numbers from Sales. Shipment volumes were consistently lower than the order volume – resulting in long lead-times, ‘unhappy customers’ and potentially ‘lost sales’. While the part about ‘unhappy customers’ and ‘lost sales’ could not be conclusively established, it was clear that the Sales teams were unhappy with the lack of fleet-footedness on the part of Ops when demand “signals” from Sales were being explicitly communicated to them. Sales made their displeasure with Ops clear to senior leaders. While such Sales-Ops mismatch on demand is not uncommon, the contentious nature of the recent Sales-Ops interactions and the fact that volumes shipped by Ops was always chasing the growing demand, made the pendulum swing too far to the other side when the next change hit, namely this product transition with several technology changes in the new product. Takeaway: when the ‘trust gap’ between Sales & Ops grows noisy, it’s time for leadership to pay attention and act on the data-points. 2) A Transition Planning process and owner and a tool – Except for quarterly business reviews, Ops glitches – such as a missed delivery, or growing lead-times – rarely get top leadership’s attention, unless it directly impacts a large customer/channel partner or revenue. As such these operations ‘micro-events’ are stashed away in corporate (tribal) memory as one-offs with lessons learnt based on isolated reviews. This works for most garden-variety operational issues, most of the time. Not so for transitions. Transitions are a critical time and a critical driver of future revenue from new products. What is the Product’s Transition Plan? When & how to change it? Whose inputs are needed when making changes? How do changes affect decisions and plan? How to communicate decisions and plan changes? Key Takeaways: First and foremost a Transition Planning process needs to be defined working across functions. Next, the ownership of the Transition planning process needs to be clearly defined, including the cross-functional team members. Finally, there is a need for a tool – a digital transition planning tool which companies can use to generate transition plans fast, plan & decide among different ‘What-if’ scenarios, re-plan in real-time if needed and distribute the resulting actions across all team members quickly so follow-up execution can be completed before it’s too late. A metaphorical surfboard to ride out the transitions. Think about it. In day to day Operations, most of the planning resources and energies are deployed on products in various stages of volume production. However, for critical product transitions which can be a make or break for smaller companies, we think the same (Volume Production Planning) approach will do. Product transitions have their own patterns and noise – as this company found out too late..
With careful thought, planning and attention of the right cross-functional team guided by Operations, companies can smoothly ride out a transition “wave” and catch the next one to go higher. Author Rakesh SharmaPosted on February 19, 2017 Categories demand, Operations, Product Transitions, Sales, Supply Chain OperationsTags Collaboration, consumer goods, excess and obsolescence, Hi Tech electronics, inventory, Operations Planning, response, Supply chain, Transition Planning, What-if scenario planningLeave a comment on Transitions and Turbulence – how to ride it out? A hard problem – What’s the demand? Pinpointing what is the real demand that a product company has to build to – this is clearly one of the hardest Operating problems in the Hi-tech branded products industry. Let’s try to uncover why? Why focused energies need to be expended at the senior-leadership level to ensure that the right approach and yes tools are applied to solve this problem. Experienced industry practitioners well know “Demand” for a company’s products may mean different things to different functions. For the CEO this starts with the current and next year’s target, crystallized out of a periodic business planning cycle (Annual, Quarterly) into target Financial numbers (Dollar forecast) – often a range. In the best cases, this is arrived at collaboratively with inputs from Finance, Sales, Marketing, Product Engineering and Operations. Although, we have some data-points to believe that Operations maybe involved sub-optimally to the detriment of the company’s execution to its business plan. For the Sales leader this means current Quarter’s & next quarter’s Sales forecast. For Marketing, this is looking at Product Mix and plan based on product launches, transitions, events. Engineering cares most about baking feedback from recent launches and providing reliable launch time-frames. What is the net Demand that Operations needs to build or buy for? As plan adjustments are made based on how Sales is tracking to their numbers and other factors impacting demand, Ops needs to answer – What to plan, source, procure, build, ship, deliver & manage the myriad changes to – so that quarterly financial numbers are met or exceeded. Often, this is made harder by the fact that Operations are downstream recipients of the company’s Annual or Quarterly Plan, sometimes not pro-actively involved at the get-go in the business planning process. Young companies in a growth mode go through many changes rapidly – growing the number of products, establishing the number of Channels they sell through, the number of customers and countries they deliver to. This means that the structural value networks themselves are changing, sometimes quite frequently. In addition, the demand from these different Sales channels and direct customers is fluctuating. By Sales Channels we mean all the indirect channels through which a company sells. This includes Resellers, VARs (Value Added Resellers), Distributors and VADs (Value Added Distributors). A system to support Operations do this is very often the Achilles heel. Experienced Operations leaders know ERP provides valuable Supply data & some input data to determine demand, however they cannot depend on their ERP systems alone for fast and accurate planning and re-planning for Demand. ERP is not a panacea or cure-all. Most experienced Operations leaders know they have to think and act out of the ‘ERP box’ if they want to get to their demand picture quickly and accurately, in an environment where change is a constant. To make this happen, experienced Operations leaders direct their teams to extract data from ERP, merge it with other data and intelligence from outside such as emails, in their own offline spreadsheets and then determine demand. However, they dread this and know fully well they can only go so far in managing their demand with spreadsheets. Spreadsheets are errors prone and cannot be relied on for collaboration. When any of the inputs change (say, inbound P.O.s), inputs that are needed to determine real customer Demand to be fulfilled – the spreadsheet(s) go through a domino effect and all numbers become incorrect instantly. The process to change the data in spreadsheets to re-compute demand is painstaking and does not meet the cycle-time or accuracy needs of growing enterprises in competitive markets where collaboration is a pre-requisite. Operations teams need a specialized system. A system that can rapidly reflect all upstream changes (such as Sales execution, Marketing actions) impacting demand. As we head deep into Q4, the ability to rapidly generate “Demand for Build” reflecting changes and shifts is a critical one – and these capabilities need be added on top of your enterprise systems like ERP. It cannot be done in your ERP system. Dynamic companies such as Ruckus Wireless, Aerohive Networks have done just that and reaped significant benefits. Implemented right, such a system can be a key factor in scaling operations, while facing changes that impact growing demand. How do we know this? We have provided the system for their Operations teams. Please pen down your thoughts below or reach out to us at Zyom. We would love to share more. The Sales kick-off went quite well. Now is the time to take one more look at what 2014 looks like from the vantage point of forecasting before real constraints set in. Economic forecasters have long utilized ‘leading’ and other “indicators” as a barometer to predict where the economy will be headed in the future. Inspired, we have pulled together the following ‘early’ indicators that can provide useful ingredients in influencing if not generating a Company’s forecast. While all forecasts are off, early indicators can be used to understand the ‘trajectory’ and a portion of the variance in the forecasts that is otherwise hard to estimate. Here are some early indictors and macro-data[i] as you craft your forecast for 2014. Weather events & the US – Climate .. or at least the weather took center stage early in January as temperatures plunged in vast swaths of the US disrupting life and business. The near term effects have been significant but not severe. The initial price tag of the big chill is placed at $5Billion (as of early January 2014). Doesn’t appear devastating given nearly 200 Million people were affected. However, long-term effects should be lesser to none. 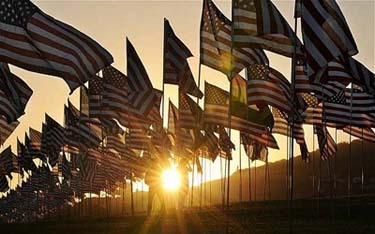 The good news – the US economy turned in a fair 2013 (3.2% GDP growth in Q4, 2013 versus 1.9% for the year) and early indicators suggest 3% for 2014. In the near-term the US certainly seems to be back on track, and maybe at the wheel in terms of driving the global recovery. Emerging markets – Short-term growth prospects have been hurt. Turkey made headlines with an egregious interest rate hike in January. However, emerging market countries as far-flung and diverse as Argentina, South Africa, Indonesia and India seem to be facing stiff economic headwinds too. Brazil seems drawn into a stagflation, just months from the big kick-off! China’s growth phenomenon – China’s slowdown has arrived per data and economists – 7.7% GDP growth in 2013 Year-over-Year, versus 7.8% growth the year before. While debate is split about future direction of this important market, all data points to a gradual deceleration and not an absence of growth. Structurally, data regarding the supply-side limits are cause for bigger concern (China’s working age population fell by 2.44 Million in 2013 after falling the year before – The Economist Jan 25th 2014). Estimated Impact – Near to mid-term slower growth (10 to 12 months); Longer-term growth could be adversely impacted. Japan and EU – These key developed markets still seem to be stuck in neutral with dangers of deflation not gone. Housing starts – A key “leading” indicator of future economic activity is in positive territory in the US, Germany and England (Jan 2014 compared to a year ago). Estimated Impact – Could imply some progress for Construction and related businesses (home products, home solar products, other home/consumer products). Orders for new products –are valuable early indicator, especially for industries such as the Hi-Tech electronics industry that rely heavily on new products for significant portions of their revenue stream. For example, for the Wireless networking industry, how are the orders coming in for the 11ac products (based on new networking standard) and how are the prices trending. Inventory (especially Channel Inventory) & lead-times – are key early indicators. While channel inventories are typically co-managed, tracking this can provide valuable clues. Backlog – A very good gauge in the near-term to establish revenue trend. However, this needs to be taken with a pinch or heaps of salt. Why? This depends on how effective are your supply chain fulfillment operations. And that’s where the rub is – since some of these indicators depend on a ‘healthy forecast’ so we are back to the ‘chicken and egg’ problem. These are a few of the key ingredients to consider as ‘early indicators’ in updating or building your forecast – at least for the mid-term: 0 to 6 months. And yes, lets plan to loop back after the proverbial dust has settled on the quarter (or, quarters) to figure out how far off was the Forecasted Demand. And while we are at it.. why not find out why, and how the indicators have changed. As the adage goes.. Memo to the Chief Executive – Have you looked at this Critical Collaboration as you prepare for growth? The tide is turning. Channel partners and key customers are moving fast to your products..
First, the good news – You have reached a major inflection point in your development cycle. You are no longer a small, obscure supplier waiting for the next large order. Orders are now waiting for you. Congratulations! The not-so-good news – these orders will not wait long before they jump ship to a competitor.. Channel partners may divert attention to these competitors too.. So, what happened? You just entered what we call the ‘O’ Zone (the “Operating” Zone). 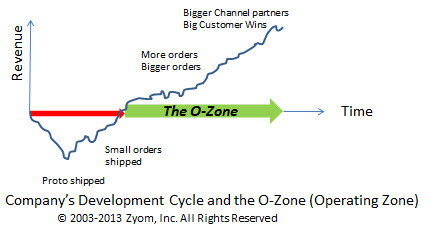 This is that part of your lifecycle (“zone”) when customers want to see you Operate like clockwork– shipping out 10x, 100x or more volume than before, yet meeting delivery dates globally, at attractive price points. What happens in this vital phase of your Company’s development cycle is going to be determined in a big way by a critical collaboration – Near Real-time Collaboration between your Sales and Manufacturing/ Supply Chain Operations (Ops) team. Your Sales team is focused on hyper-growth – signing up new Channel partners, winning new deals with end customers despite tough competition. They are totally focused on order volume (Revenue) metrics, and compensated appropriately. So, they make sure they open up the gates and get more customers, more partners and more orders in. But hold on! Do they have enough time to pivot to their Ops partners – give them a heads up about new customers, what product forecasts will be like? Your Ops team, on the other hand, has an increasingly complex balancing act as demand takes off. They can grow their Supply Networks – to an extent (signing up new sources – new CM/ ODMs, new suppliers, etc.) to gain extra capacity, but then they hit the brick wall – of ‘Cost’ centered metrics. The strains start to show in interactions between Sales & Ops. Q. What will Sales sell? How much buffer stock should we keep? Q. When will our orders ship? Why can’t you deliver it sooner? With ‘Keep cost down’ as the guiding principle for Ops, it becomes a crazy dash to expedite when demand swings up with little notice, flying goods over instead of the more inexpensive modes (sea, rail or road) – depleting margins. The human costs are bigger – anxieties mount as Sales & Ops try to play a game which looks somewhat like – catch the ball ‘blindfolded’. To start off – Metrics need to be aligned. How about rallying both Sales & Ops around ‘Profitable Growth’ metrics? Let’s discuss it as a team at the leadership levels first. At a minimum – Sales, Supply Chain Operations, Operational Finance and you, should participate. The dividends of playing smart in the O-Zone are huge – Growth with Profitability – A distinct Operating Advantage. We, at Zyom, will be glad to help and explain further. Author Rakesh SharmaPosted on September 19, 2013 September 20, 2013 Categories Collaboration, Operations, Shortages, Supply Chain ResponsivenessTags CEO, Channel Operations, Collaboration, demand, Metrics, O-Zone, Operational Finance, Sales, Sales & Operations, Supply Chain Operations, supply chain shortagesLeave a comment on Memo to the Chief Executive – Have you looked at this Critical Collaboration as you prepare for growth?